"Love God and live together in peace and harmony. " Making a difference to people's lives….. Almost 99% of all money received goes directly to projects approved at the regular meetings of Directors. Donations are tax deductible. 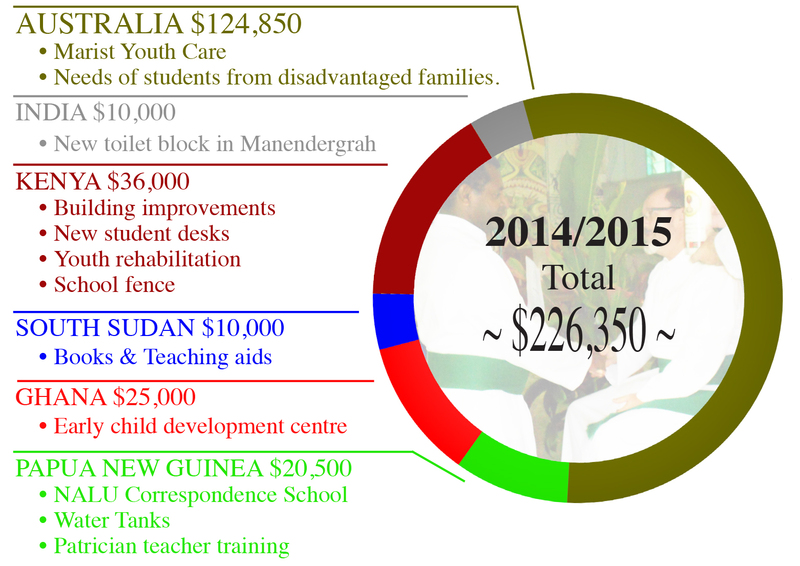 Just as Catholic schools in Australia received no Government funding for many years, likewise schools and education initiatives of the Brothers at present generally do not receive Government funding in India, Kenya, Ghana and Papua new Guinea. Accordingly, most of the funds raised by the Delany Foundation are directed to infra-structure development and basic resources provision in places of Patrician mission in these countries. Some funds are also allocated to a youth-at-risk agency in Western Sydney, to families associated with Patrician-linked schools in Sydney, and to other local enabling projects. Please make sure to leave your email address on the form. Thank you. The annual Delany Golf Day - one of the means of raising money for the Foundation.